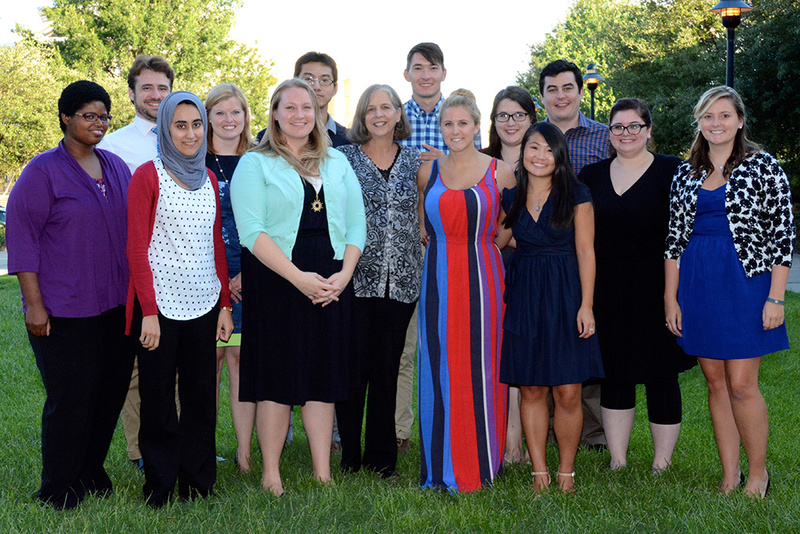 Beginning in Februbary 2014, 13 Master of Mass Communication students in Lisa Sisk's integrated communication campaigns course worked with Family Promise, a national nonprofit organization dedicated to improving the lives of families living in poverty. Starting their work long before the summer class officially began, the M.M.C. 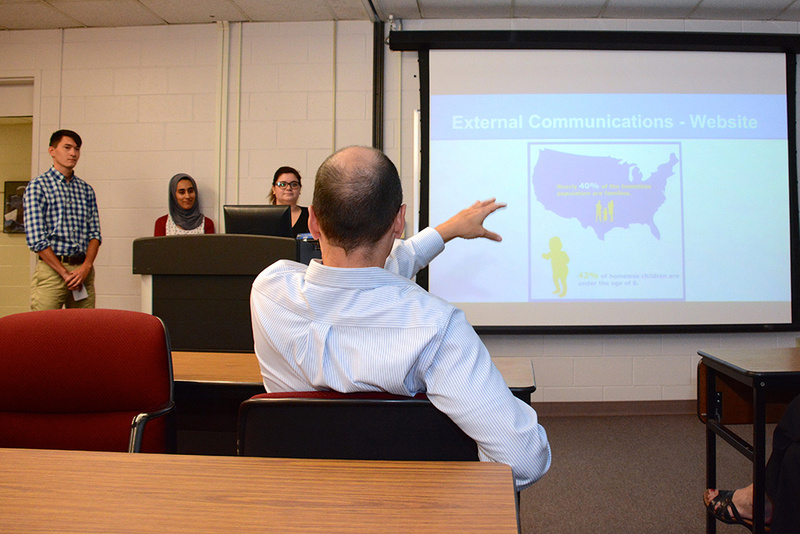 students developed an integrated communication campaign for the Family Promise national office. 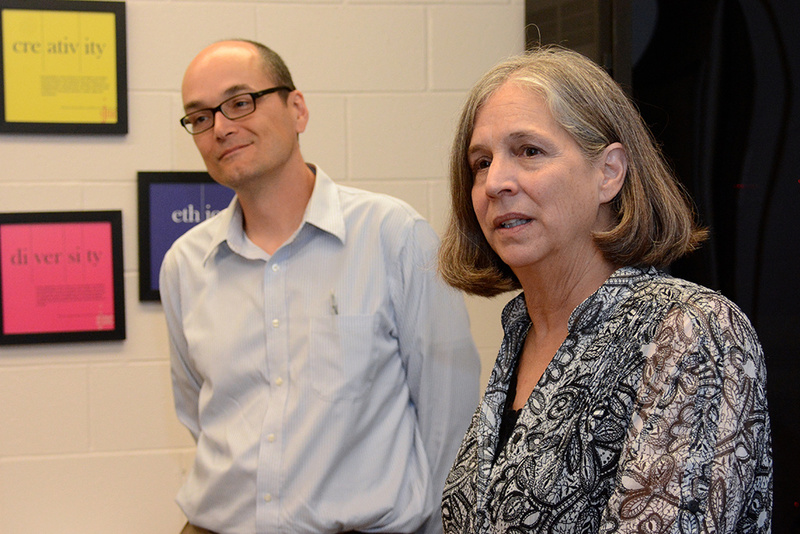 "This year's class was a wonderful combination of motivated students and a grateful client," said Sisk, senior instructor at the School of Journalism and Mass Communications. "The complete campaign entails academic research and strategy as well as the tactics the organization can begin to use immediately." 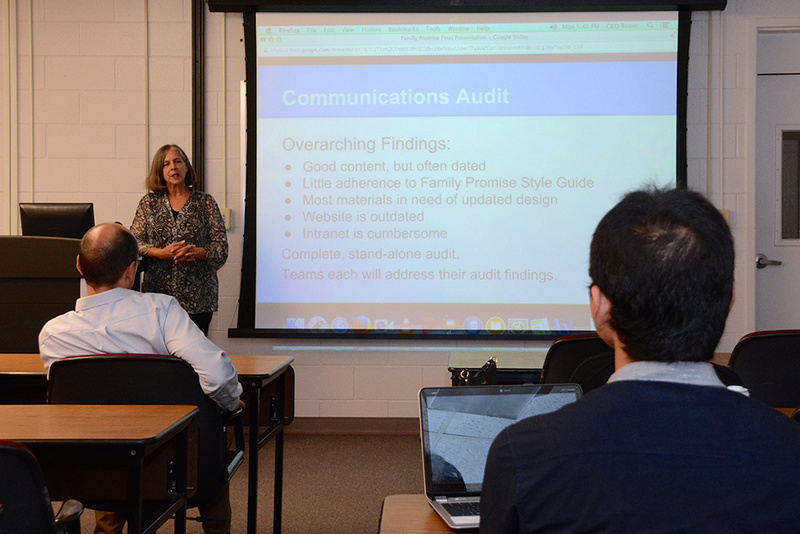 The students began their work with a comprehensive communications audit, and then developed innovative communication strategies to overhaul Family Promise's internal and external communication. They created content for print, web and social media, reworked the branding and style guide, developed a media kit, and employed tactics to improve the organization's media relations and corporate partnerships. The integrated communication campaign supports Family Promise's mission to help homeless families and educate its publics about poverty. "In all of our classes we learn the different processes and strategies of integrated communication, but it is great to finally put it all together and develop and deploy all of this for a client who can actually use our help," said Sara Grace Bailey, an M.M.C. student from Lancaster, S.C.
Leacy Burke, an M.M.C. student from Columbia, agreed. "We have a hands-on learning experience that takes us beyond the classroom and gives us a very real way to help the community." The combination of the theoretical and the professional allows M.M.C. 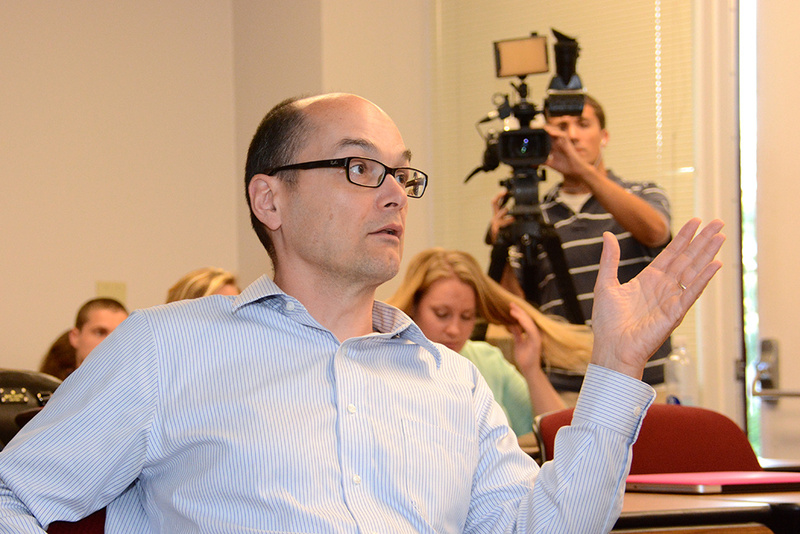 students to acquire real-world experience before finishing the program. "Our M.M.C. 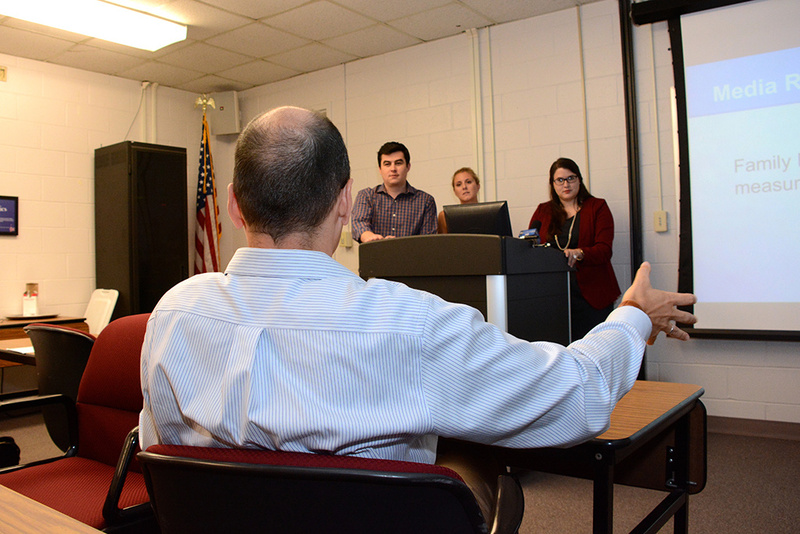 program is designed to prepare students to be successful communications strategists, and one way to do that is to give them professional experience in this class, building on the academic and theoretical underpinnings of their earlier classes," Sisk said. Her students echoed her sentiments. 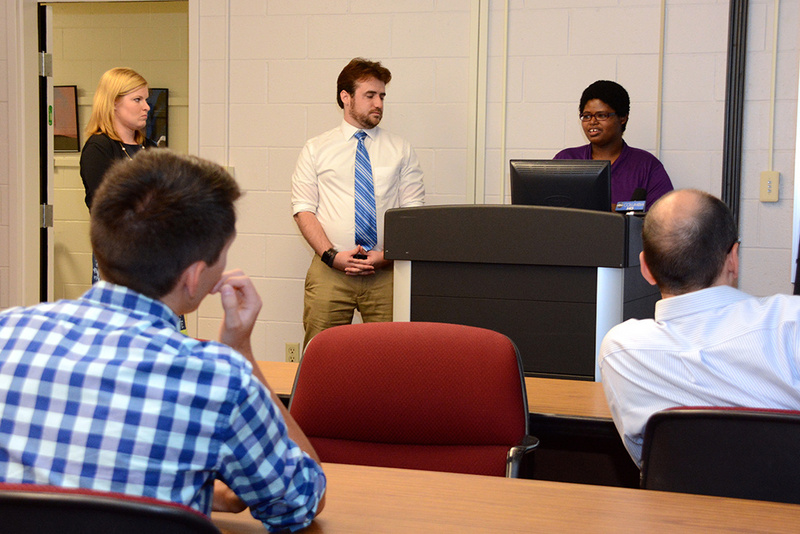 "This campaigns class helps us better understand the knowledge and techniques we learned in the earlier classes and apply them to the real world," said M.M.C. student Yichao Lin from China. The students came away with from the class with a sense of accomplishment and pride. They also realize their work will allow a deserving nonprofit to more effectively communicate with its publics, which in turn will help Family Promise address its mission of serving homeless families. Claas Ehlers from the national Family Promise office in New Jersey was enthusiastic as the students presented their campaign. M.M.C. student Katie Hull of Cincinnati said, "It was rewarding to see how grateful he was after our presentation." Jeremy Thomas spoke what his classmates were thinking. "Having a national client applaud and congratulate us on our hard work was a really special moment. I hope we'll soon see our work put to good use to help homeless families around the country." Thomas is an M.M.C. student from Barnwell, S.C. Although Family Promise, with 185 local affiliates in the US, will make the ultimate decisions about the use of the campaign, these M.M.C. 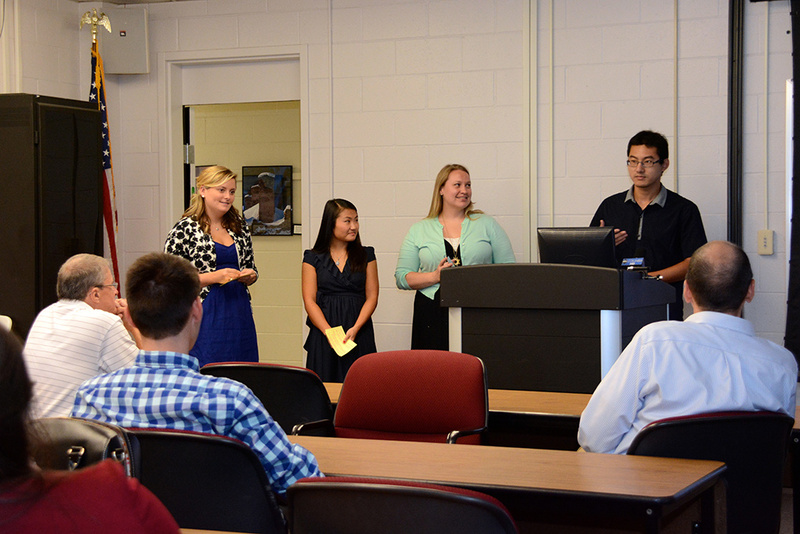 students provided quality work and practices that can greatly influence the future of this national organization. Thirteen M.M.C. students present their integrated communication campaign to Family Promise, a national nonprofit organization that helps homeless families achieve sustainable independence.